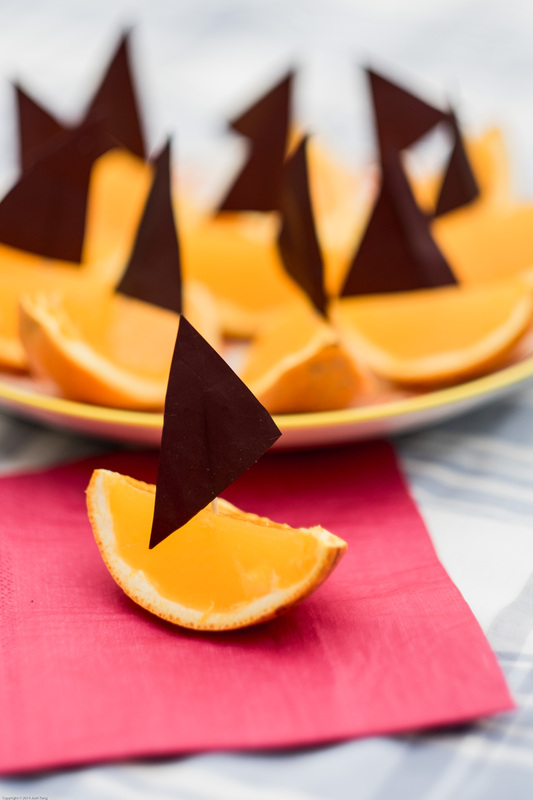 Kefir jelly boats make a delightful addition to a party table. They are a simple combination of fresh orange juice and water kefir, with setting-powder provided by gelatin or agar (both known as digestive aids, bonus!). Have no doubt, these little vessels of probiotic goodness will be snapped up quickly. Halve and juice the oranges. Remove the last of the orange flesh from the peel carefully. Measure 1/3 cup of orange juice into a saucepan. Add the gelatin or agar flakes and whisk. Place over a low heat and continue to whisk. Gelatin will only need a minute or so to dissolve, agar requires at least five minutes of simmering. Remove from the heat and add remaining orange juice, plus enough water kefir to make up the amount to 2 cups (500ml). As a rough guide, my oranges produced 1 1/3 cups juice, so I needed 2/3 cup kefir. You can use first or second ferment kefir, depending on how sweet you would like the final jelly to be. I find a mildly sweet second ferment about right. Fill the orange halves with the liquid and place in the fridge for an hour to set. 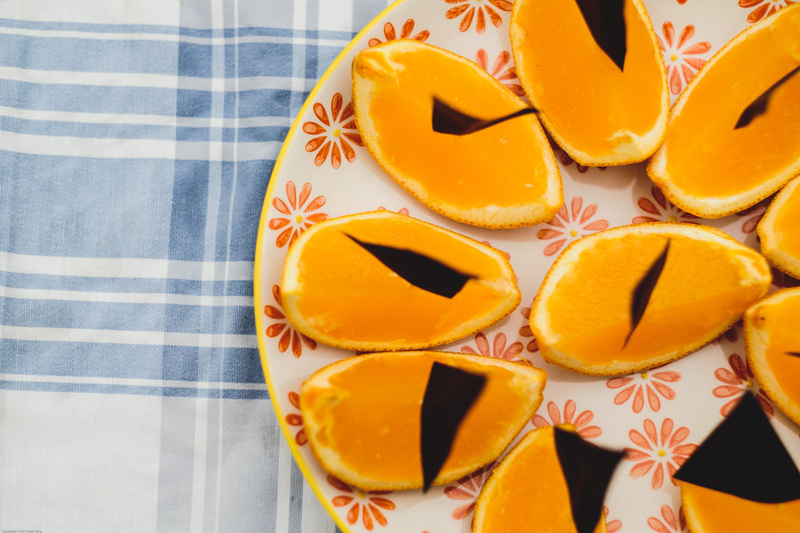 Once chilled, slice orange halves in half again, and trim the peel if required. Add the sails before serving.